You hired a commercial grounds maintenance firm to care for your property. The contract is signed. 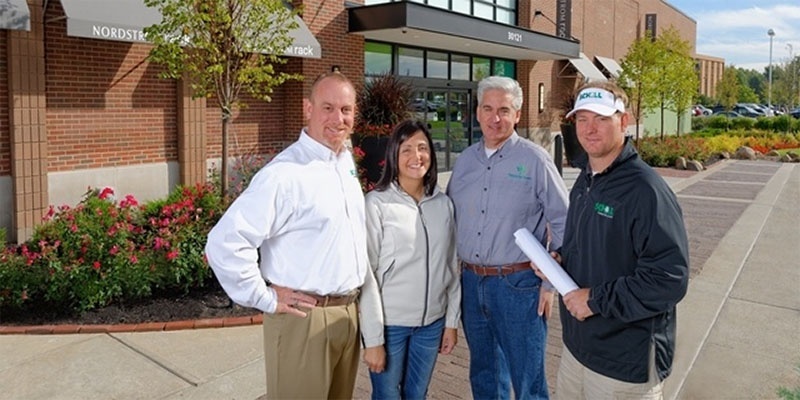 The crew is prepared to service your Northeast Ohio landscape. But, who is responsible for ensuring quality—suggesting enhancements, managing your property like a true asset? And, what if there’s a problem with the service? The landscape provider caring for your grounds should have dedicated staff and a communication system in place to ensure quality, safety, value and return on investment. At Schill Grounds Management, our C.A.R.E. commitment to consistency, accessibility, reliability and expertise includes getting a dedicated Client Care Specialist. This is a trusted adviser who helps create a customized landscaping plan for your property that suits your goals and budget. Many landscape companies assign Account Managers to oversee properties. 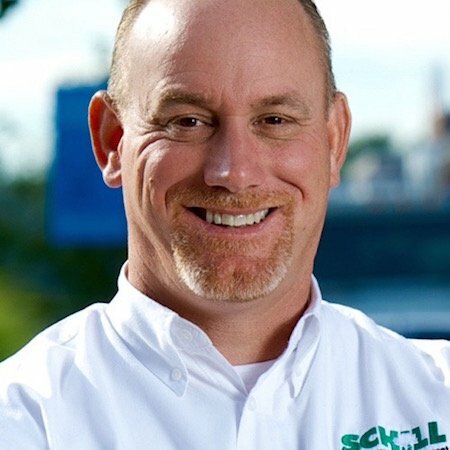 At Schill, we go deeper with a Client Care Specialist who is in constant contact with the crew servicing your grounds, your management team and our leadership. >>Tip: Your landscape provider is on site weekly and has the advantage of getting to know your property intimately. At Schill, we feel it is our duty to alert facility managers of any potential problems to preserve health and safety. That includes things not related to landscaping. It’s great to have a dedicated person visiting your property weekly. But how will information communicated get back to the crew? There must be a system and technology in place to facilitate open communication. At Schill, we communicate in whatever way is convenient for you: phone, text, e-mail. We’re accessible 24/7/365. Our crew leaders use tablets and have access to all information about your property. So, when a Client Care Specialist records a note during a site inspection, the crew sees the message immediately. There’s no communication lag time. Landscape crews check all messages daily so we can be sure you get immediate response. If for some reason an issue cannot be addressed the day it is noted, you are alerted and the solution is discussed. There’s a plan. >>Tip: Always ask your landscape contractor exactly how account managers and crews communicate. And, how often do they talk? This directly impacts response to requests and service quality. Get these answers before hiring a landscape company. At Schill, our Client Care Specialists exist to preserve the beauty, safety and value of your commercial property. They’re thinking about solutions, providing suggestions and pointing out potential concerns that can be addressed before they become problems. Our team treats your property like it’s their back yard. And, we’re proud of the long-term, deep relationships we grow with clients because of this C.A.R.E. Let’s talk more about how a Client Care Specialist can serve your Northeast Ohio retail, HOA, assisted living community or industrial park. We’re listening. Call us at 440.327.3030, or fill out this simple contact form and we’ll get in touch with you.